Info: This sketch was done at 00:30 a.m. using a Newtonian telescope, 150/750 f5. Seeing was tolerable. Very nice aketch of NGC 4103. This is close to as far south as I can observe from here in Hawaii. 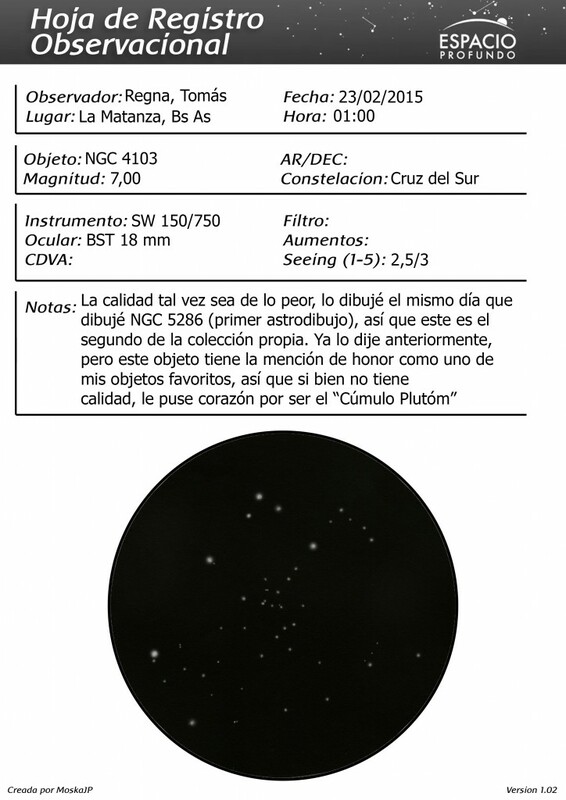 I had forgotten what a nice cluster it is and after seeing your sketch I put it on my observing list.